On a pristine beach in the heart of Manuel Antonio National Park far from the crowd, luxury meets eco-consciousness at the picturesque Arenas del Mar. The resort has maintained it’s commitment to the environment by constructing all the buildings around existing trees and using solar panels for heating water. It blends into its beautiful surroundings without sacrificing luxury or style. On this idyllic spot of land, where the jungle meets the sea, you can totally relax and revitalize along the long stretches of secluded beach. 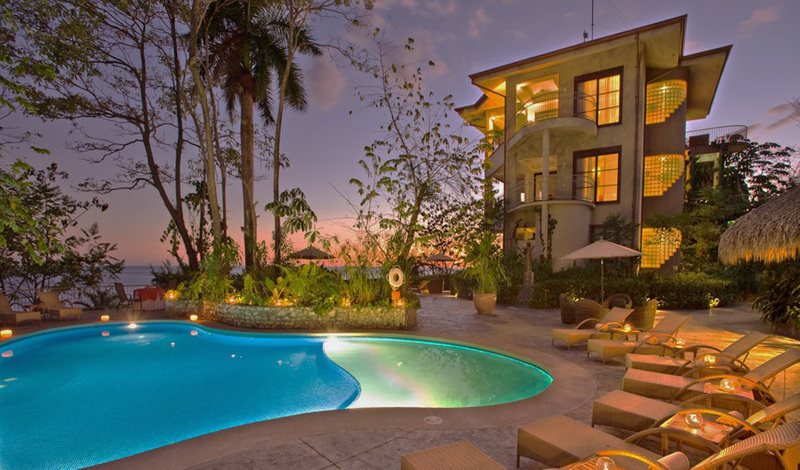 Arenas del Mar resort is located beside the Manuel Antonio National Park. A beautiful setting on the Pacific coast combining spectacular beaches and lush primary rainforest, it is a mere stone’s throw from the resort’s 38 luxury suites and apartments. Manuel Antonio National Park is a nature lover’s paradise consisting of tropical jungles, rain-forest, heavenly beaches, mangroves, an estuary and lagoon just waiting to be explored by raft, kayak or canopy tour. The 38 luxury suites and apartments at Arenas Del Mar have been elegantly decorated with paintings by local Costa Rican artists and have king size beds, spacious bathrooms and organic toiletries. 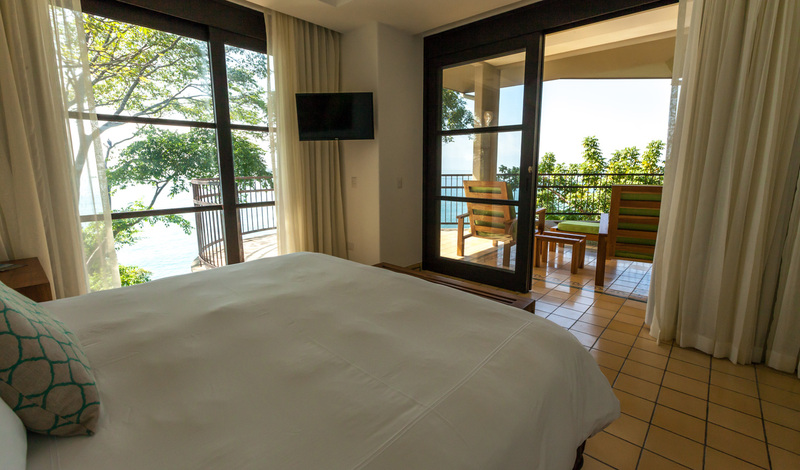 Each room has been designed to provide stunning views of the park, Pacific Ocean, or surrounding rain-forest. If you’re looking to treat yourself, stay in one of the Rain-forest Suites featuring a full size Jacuzzi on the outdoor terrace. The resident naturalist Eduardo is on hand to take you on magical jungle tours to Quepos Point that are filled with fascinating insight into the surrounding wildlife. While we love to get out and about, at times there is nothing better than coming back to a private Jacuzzi with a guaro mojito in hand to watch the waves break over pristine beaches. At Arenas del Mar as evening sets in you can look forward to sumptuous dinners of fresh seafood and delicious Costa Rican cuisine. Que rico.